Hiring a Freelance Web Developer; Why and How? Designing and developing the right website is important for the success of any business nowadays. Businesses have to choose between hiring a freelance web developer or an agency. This can prove to be a very difficult decision to make, especially if the company has had no previous experience in the web development area. A lot of businesses choose to go with agencies, but that doesn’t make it the right choice. Small businesses, in particular, cannot afford to hire an agency so they have no choice, but to use the services of a freelance web developer. However, what most people don’t know is that this decision could actually prove to be a very wise one. Not only is it cost effective to hire a freelance web developer, there are other benefits that can also be enjoyed by a company when they make this decision. Firstly, it is cheaper to hire a freelancer because they don’t have many overheads or other employees to worry about so they don’t charge a huge sum of money for providing web development services. Therefore, freelancers are known to help a business in budgeting and cost control. Apart from that, freelance web developers are known to possess a diverse skill set, which means they are able to offer several alternatives to the usual bespoke solutions in regard to web development. Some people may have misconceptions about freelance web developers and their level of expertise. However, it cannot be denied that they have the ability of providing a great product to their clients. According to John Kavanagh, a Freelance Web Developer from United Kingdom, the services offered by freelancer developers are reliable and they are able to provide a product that’s according to the requirements of their customers. They are able to offer timely and prompt services and have a fresh perspective. They work with plenty of enthusiasm and will have a plethora of ideas to share with the business. As their reputation hangs in the balance, these freelance web developers strive to leave a good impression on their clients. Greater flexibility is also offered by freelance web developers, which is another point that works in their favor. Nevertheless, these benefits can only be enjoyed if a firm chooses the right freelance web developer. Most often companies are unable to find some ideal for the job and are left with a bad experience. 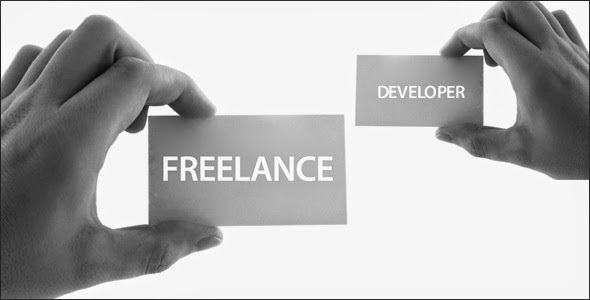 There is a simple process that needs to be followed for making the right choice in regard to a freelance web developer. You need to ask them to provide you with references that you should follow up to know if they are recommended.